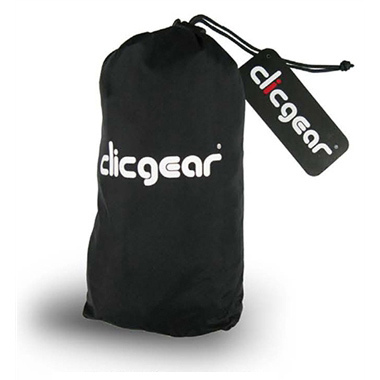 The Clicgear Golf Bag Rain Cover fits easily to completely covers your golf bag while using a Clicgear or other brand of push cart. Fits most golf bags and most push carts. Provides extra protection in wet conditions. Durable lightweight nylon material with waterproof zippers. 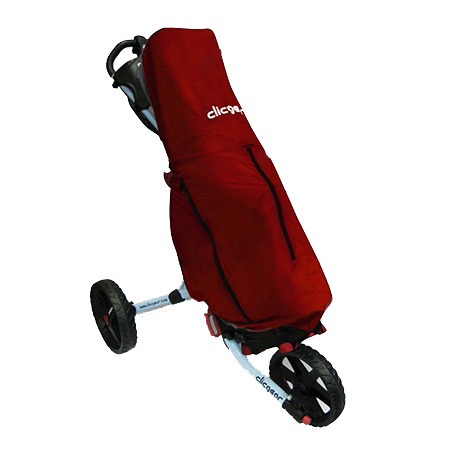 Top and side zippers allow for easy access to your golf bag pockets. 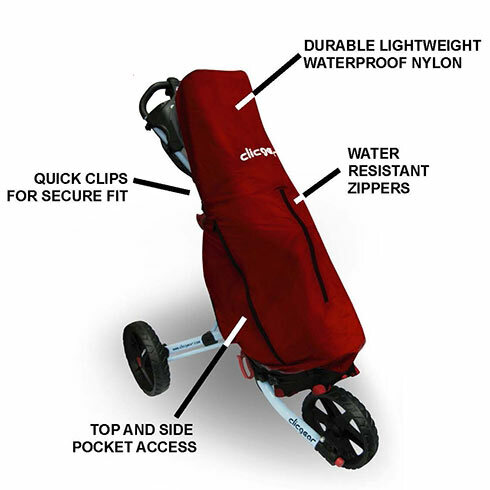 Quick clips for easy and secure fastening to your push cart. Drawstring storage bag included. Rain cover is red, storage bag is black.